Preservation South Carolina has released the 2018 state list of most At Risk historical sites. From the eight properties listed, of local concern is the Piedmont Manufacturing Company Footbridge spanning the Saluda River over the dam. This dam is still producing electricity for ENEL, an energy group. 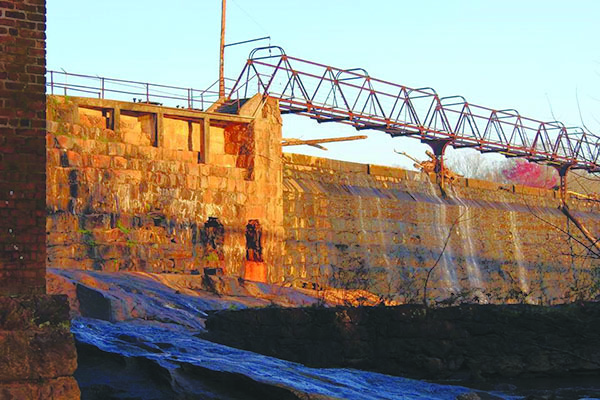 The Footbridge site is an historical, industrial property, and the dam and footbridge were constructed in 1888 when the mill built the third plant on the Anderson County side of the river. The footbridge allowed quick movement by operatives from Mills 1 and 2 to Mill 3 and back. 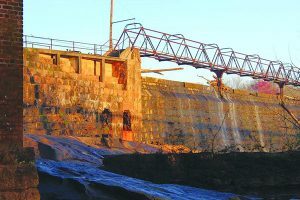 After the Greenville County Mills that were designated National Historical Landmarks burned in the 1980s, the footbridge, dam, and the smoke stacks are the main structures left to denote 130 years of Piedmont and upstate textile heritage. National Historic Landmarks are nationally significant historic places designated by the Secretary of the Interior because they possess exceptional value or quality illustrating the heritage of the United States. Piedmont Manufacturing Company (1876) was considered the kindergarten of all the mills in the upstate, because it was a great experiment. When Piedmont Mill was successful, many new cotton mills followed into production with supervisors from Piedmont moving out as superintendents of mills across the upstate, Georgia, and North Carolina. 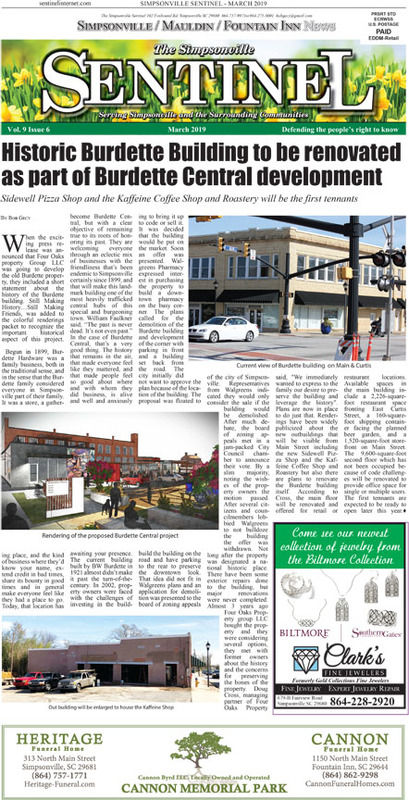 Greenville County Historical Preservation Commission and Piedmont Historical Preservation Society will be working with Preservation South Carolina to find funding for this important restoration project.